You can improve garden soil and farm lands by sowing green manure, otherwise known as cover crops, the most natural fertilizer for gardens. These plants improve the soil because they are pioneers. They are not only hardy and can grow in inhospitable soils, but can be accumulators of nutrients, such as the legumes, which harness nitrogen. For most of these plants, the improvement of soil for the growth of a second generation of plants is their ecological role in nature. They also reintroduce organic matter to the soil when cut back, both from the fallen vegetation and the decomposing root matter under the soil. In so doing they help the carbon cycle, putting carbon back into the soil, boosting soil life and fertility. Other nutrients are cycled at the same time, and are released into the soil when the roots decompose. The roots help both to hold and to loosen the soil. 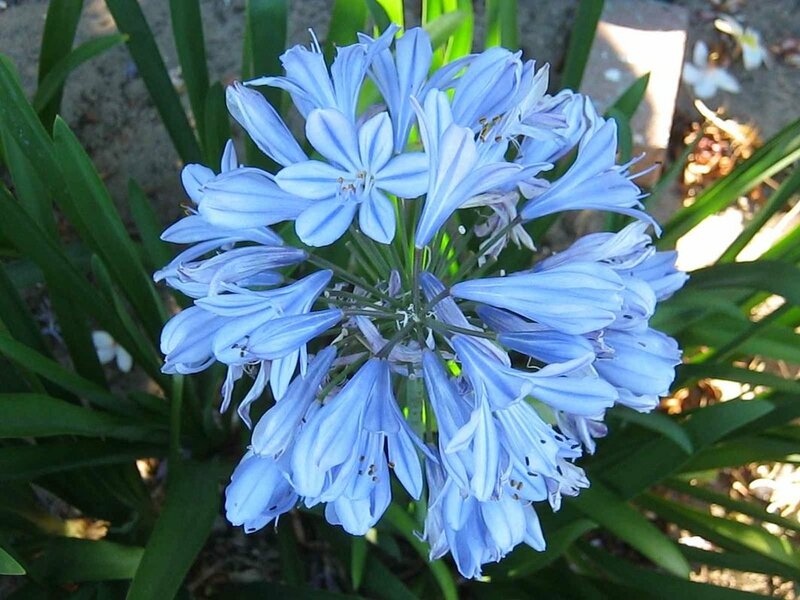 The leaves, both when living and mowed down, shade the soil and prevent evaporation and erosion. 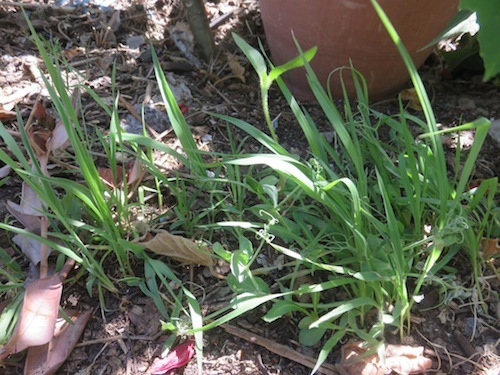 Seeds and leaves can still be harvested by picking them selectively without destroying the benefits of the cover crop. 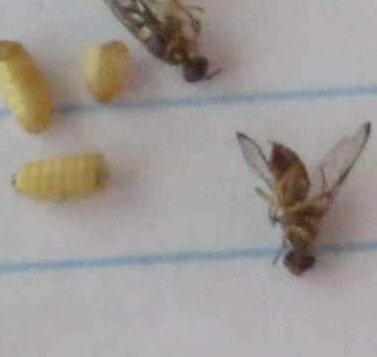 You can also harvest them and throw back all residue on the spot. Leave some plants to self seed for the next season. 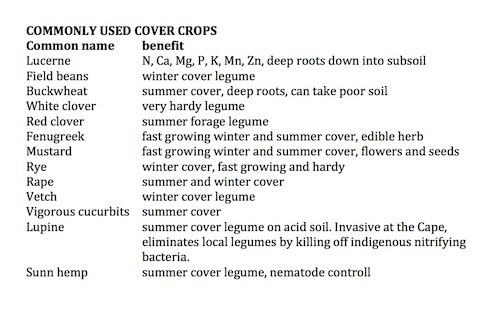 When is using cover crops of the most benefit ? Green cover crops are recommended when farmland lies fallow or is not planned for immediate production. 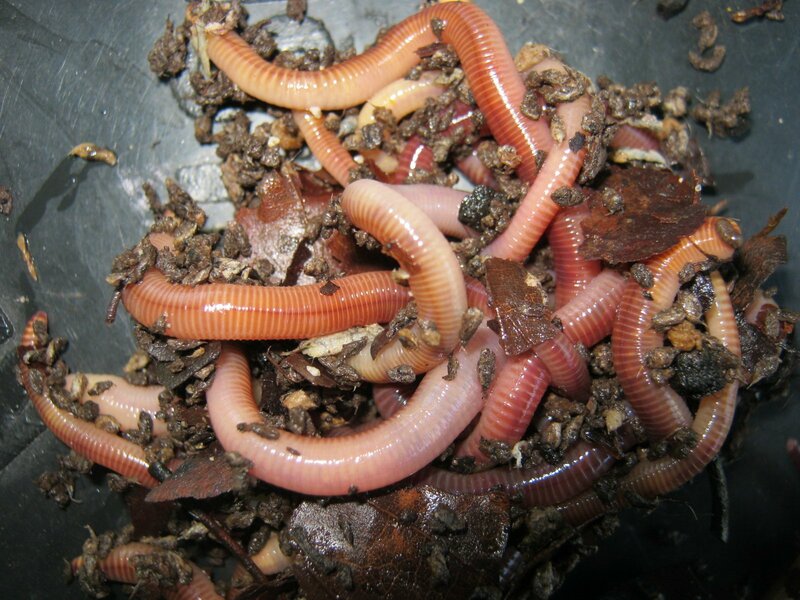 But on a small scale they can improve garden soil, and are wonderful helpers in the garden. 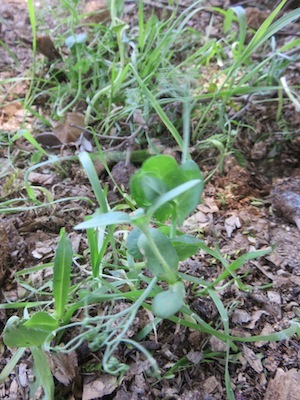 I am using cover crops to rapidly cover over and protect areas of my sandy garden exposed by pond construction. 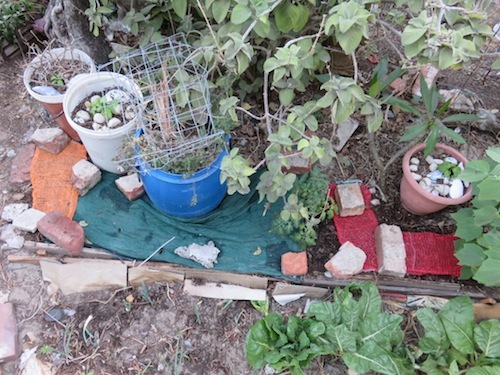 A long hot summer and possible drought is on its way and the sight of naked sand, getting hotter and the garden sandier by the the day needed to be remedied. I am also using a regimen of root vegetables and cover crops in a client’s garden to break up and ameliorate very hard and compacted soil consisting of red clay and broken shale. 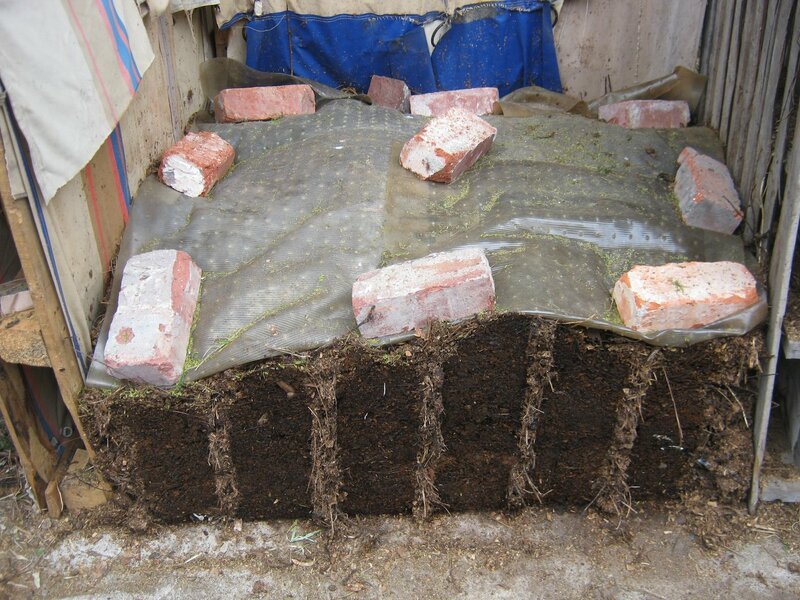 Green manures thus prepare soil for vegetables at both ends of the soil spectrum, pure clay, and pure sand. A source of cheap seed for cover crops appeared to me when I went to the local pet shop to buy straw. 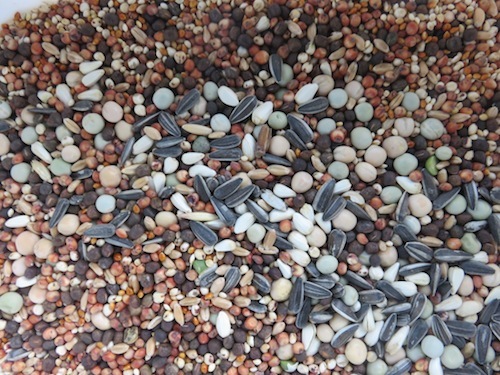 Bird seed is often viable. The species are also very appropriate to an African context. I bought a mix of wild peas, two kinds of sorghum and millet and sunflowers. Some food mixes have peanuts, which is another legume, and there are a lot of other interesting grains like maize and amaranth varieties. 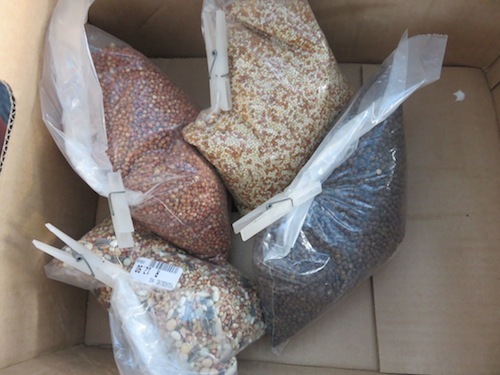 In South Africa, cover crops can also be ordered online from mail order companies like Seeds for Africa, and be bought at retail stores such as agricultural co-operatives. Below is a table of common northern hemisphere and commercially available cover crops from my course notes for my Permaculture Design Certificate. In time I hope we will discover and experiment with our own indigenous plants in this role. I broadcast small handfuls of the bird seed in my problem sandy areas. The seeds must be quite densely applied. I watered and covered the areas with 2 cm of compost and then with netting to prevent the thrushes from just digging the seeds out. When I lifted the net it pulled out some germinated cover crops. I think spiky thorns may have been a better option, but some areas were really large, several square meters, and too much for carefully placing thorns. We watered the areas regularly every two days until the seeds came up, usually after two weeks. LIft the netting regularly, when watering, to prevent ripping out your plants when you finally do lift it permanently. After two weeks I removed the netting and then we shifted to watering twice a week with gray water and its working well.